I’m canning like a crazy girl this week. Letting my inner domestic princess run wild results in amazing stuff coming out of the kitchen. 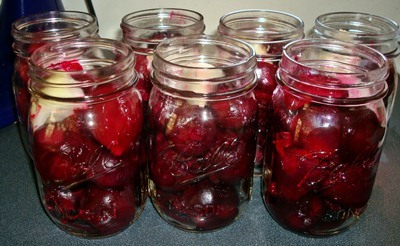 Pickled beets are one of my favorite- and people beg from year to year to be on the list for Christmas beets. I’m sharing my recipe so that you’ll make some- I’d be willing to bet you’ll love them! There are a few secrets here and there I don’t share- because every pickling recipe is different. Tweak this one to please yourself and go crazy… mine have onions in the jar too this year. 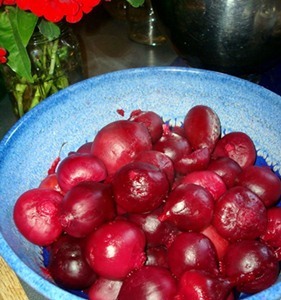 Boil & peel your beets, and let them cool a little so you don’t burn your fingers off. Sterilize your jars- don’t skip this step, EVER. 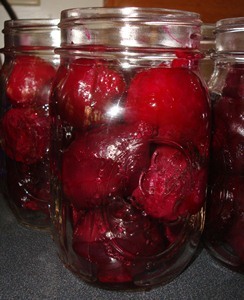 You can’t be too careful, even when you’re canning something vinegar based.After they’re clean and steamy hot- fill them with your beets. You can add anything you want really. I added a jalapeno pepper for one of my favorite girls that loves spicy things and they all got a chunk of onion from the garden too. Yummy. I don’t like sweet pickled beets, mine are more savory. Much better, if you ask me. 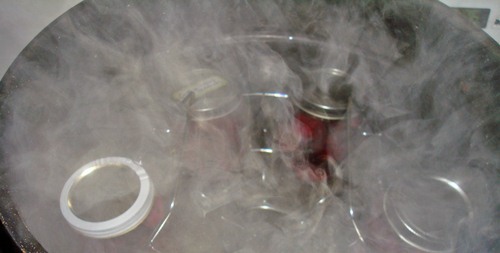 Boil your lids, clean the rims of your jars with a clean towel dipped in boiling water. Be neurotically safe- it’s worth it for the time it takes to get them canned. Boil your brine. Get your hot water bath canner full and heating. It takes a while to get it going and if you time it correctly, this can be easy. 1-3 cups sugar. Add it a little at a time until you like it. 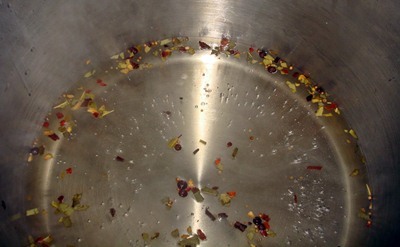 Boil it all together for 10 minutes or so- until it smells good and you like how it tastes. Strain the pickling spices out and add it to your jars. Clean your jar rims again, put your boily-hot lids on with the rings, and set all your jars in a sink full of VERY hot water until the canner is ready. If you let your jars cool too much, you’ll blow the bottoms out when you put them in the canner. Nothing is worse than hearing that pop and seeing those bubbles. I promise. It’s worth being patient and letting them heat up. I lost 6 jars last year (out of about 400) so it doesn’t happen too often if you’re really careful about keeping them hot. Load 6 at a time- 7 makes it sketchy and I always end up getting burned. 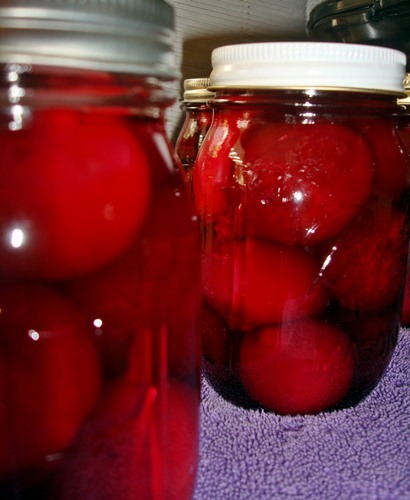 10 minutes later you are rewarded with the most spectacular pickled beets you’ll ever have. Ever. Not that I’m bragging. Victory… beautiful and delicious. What’s not to love? Raspberry jam coming up next….